This is an old tree in Savannah, Georgia, draped with Spanish moss. To many, it might not be pretty, but to me, it is exquisite. I guess that’s just the way I see things ~ do you see things that way too? Do you delight in the mundane ~ finding beauty in what most people would consider ordinary? I feel that it’s a gift I’ve been given to see the world in this way and I am blessed to find many companions through blogging who feel the same way. Sometimes I feel as if we are expanding our circle of connections exponentially daily which delights me. The simple words, “I understand” bring great comfort and connection. Just like when we can ‘see’ the beauty in each other and all around us. Thank you for allowing me to touch your Saturday with my blog. I truly hope you feel the loving embrace of the Universe surrounding you in all that you do today and always. May you find peace within and about you. May you err on the side of kindness and may your smile brighten many lives today and always. You are truly a gift. I can see your beauty. Can you? Yes, I see it! I’ve been on a mission of sorts to simplify, and on this journey, the ordinary is becoming more and more beautiful! I actually did see the beauty in that when I saw it in my reader. Muchas gracias querida RoSy! ♥ Abrazos a ti. Yes, most of us tend to miss the mundane and the beauty around us. Thanks for the reminder! Ive often been to Savannah and the low country of SC and just love the Spanish moss. There is an awesome and unique beauty in that part of the country which I have yet to find anywhere else. This is a beautiful reminder ~ and through it, your beautiful essence shines! Sorry, I failed to take photos of the beautiful Spanish Moss many of the trees on my last visit to Savannah. 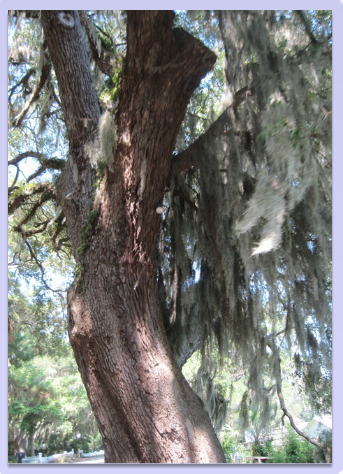 There is a small bit of moss hanging from a tree in my Florida backyard, I will check with my neighbor who knows everything about anything that grows fro the ground, if I have been gifted with Spanish Moss. As always, thank you for your inspirational and uplifting words. So true!!! Beauty is everywhere and just, and we must be “clever” and “sensible” enough to appreciate and reveal it. Thank you Yvonne for this beautiful and profound quote. What Does A Dragonfly Landing On Me Mean?